Even after a solid year of growth and six months of near constant exposure in the mainstream media, Bitcoin remains a niche area, mostly followed by hard-core techies. Many practitioners won’t go near it for fear of getting caught up in the regulatory uncertainty, while others may genuinely try to help their clients, but recklessly fail to consider the attributes that make Bitcoin unique among taxable assets. As a Certified Public Accountant who focuses on entrepreneurs and small businesses, I tend to get the same questions and help clients with the same issues on a regular basis. The basis for this article was an adaptation of one such e-mail exchange with a client in December of 2013. It should be clear where I have made a statement of opinion. Nevertheless, I will make this disclaimer up front – my opinions are mine alone and should not be construed as tax or accounting advice in this context. You should always consult a qualified tax professional about your personal situation before taking any tax position and especially before taking a position on an issue as complex as Bitcoin. I intend to update this article periodically as the regulatory situation evolves and as I receive new questions. Feel free to e-mail me directly at [email protected] if you have a question you’d like to see answered here. Answer: The standard for “realized” is that you have the legal right to an asset. That is why you have to declare and pay taxes on stock gains, for example, even if you immediately reinvest the proceeds from a sale. There is no statutory or case law basis for the argument that Bitcoins are not “readily available” until converted at an exchange or the argument that the mere possibility of total and permanent loss should postpone recognition of a realized gain. If you receive an asset that has value, the value is realized and taxable at the point you recognize it, whether or not a market readily exists for you to convert that value into dollars. It just so happens that there are enough exchanges operating now to make a market for Bitcoin, so you’d be hard pressed even to argue that you were unable to declare the income because the market value of your asset was not readily determinable. Answer: The IRS needs to provide guidance on two issues: what kind of asset is Bitcoin and when are Bitcoin exchange gains taxable? Bitcoins received in exchange for goods or services are taxable at the time the transaction occurs and also taxable later if conversion to dollars results in an exchange gain (or loss). This is established conceptually by the definition of gross income in IRC section 61. I think one of the main reasons why people have such a hard time working through the tax issues surrounding Bitcoin is sloppy use of terminology. You won’t find the term “fiat” in the Internal Revenue Code, yet this word is often used by the Bitcoin community to make the argument against taxability generally. That is, by use of the terms “fiat” and “non-fiat”, Bitcoin traders either argue that, since Bitcoin isn’t a fiat currency (in the usual sense) then it doesn’t exist for tax purposes, or if it does exist, that they aren’t engaged in trading them for a profit. Both of those assertions are demonstrably false. Bitcoin is either a capital asset or a non-capital asset. “Commodities” (or usually the contracts that represent them) are capital assets to investors other than broker-dealers, but non-capital assets to investors who ARE broker-dealers (to whom they are considered inventory). If Bitcoin is recognized as a currency, as I think is likely, then the treatment would be that of ordinary gains and losses. Short term capital gains are also at the ordinary rate, so only if Bitcoins were a capital asset and you could prove that you’d held them longer than one year (tough to do) would the long term rate be implicated. Answer: The IRS is currently working on regulations for virtual currencies generally, to include Bitcoin. I strongly suspect that Bitcoin will be treated as a “foreign” currency. 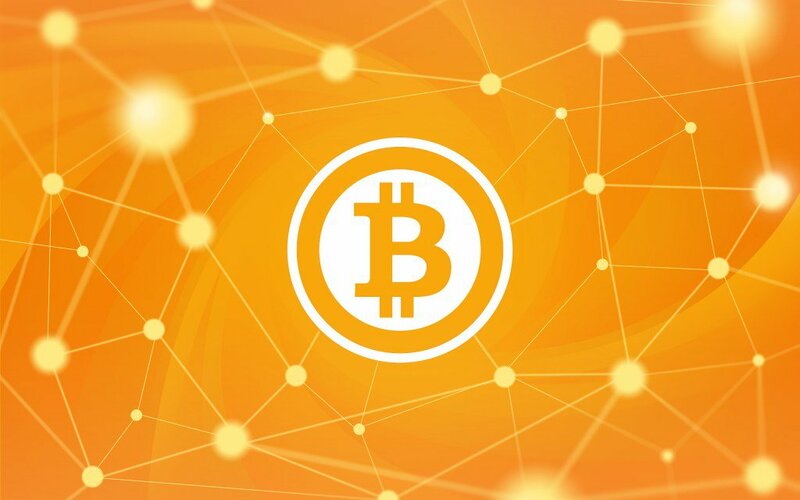 Bitcoin’s purpose, its function and its major attributes are all shared by currency. The Treasury Department has ruled by way of FinCEN that Bitcoin exchanges are money service businesses and required them to register, which it would not have done if Bitcoin were thought of as a commodity. The payment protocol employed by Bitcoin may be unique and important, but that doesn’t put it in a whole new category of its own. In fact, the only possible justification for treating Bitcoin as a capital asset that I have seen (other than desire to avoid taxes) is that currency is defined by the IRC as being issued by a government or a central bank, but that can easily be amended. Also, there is the tax angle – why give Bitcoin the capital rates if it can just as easily be given the ordinary rates? I think there is no chance that the rules will be out before April 15th (of 2014) and perhaps not even before the end of 2014. The IRS is hamstrung by finite resources and there’s just too much else going on right now to focus on something as small as Bitcoin unless specifically directed to do so (and maybe not even then). For an example of bureaucratic sluggery (as if you need one), see the SEC’s ponderously long rulemaking process for equity internet crowdfunding under the JOBS Act, which is, at the time of writing, over a year past the Congressionally mandated due date and still not complete. If the Congress goes for wholesale tax reform next year, or if Bitcoin manages to make a powerful friend with incentive to see some solid regulations, then that could change. On the flip side, there are some fairly powerful stakeholders, such as the major banks, that have a vested interest in Bitcoin continuing to look risky and shady. Answer: A cash basis taxpayer wouldn’t mark anything to market. If you were in the business of trading Bitcoins and reported on the accrual basis, you might need to. If you wanted to do this and if you were treating Bitcoin as a capital asset, you could harvest gains each year by selling and rebuying right away, but the wash sale rules might prevent you from harvesting losses that way. While it may seem silly to realize gains (and pay taxes) when you don’t absolutely have to, this might be a good strategy if you believe that your tax rate will be higher in the future. Image credit to Reddit user mastermind1228, who says that he is “sick of seeing pictures of physical metal associated with Bitcoins…Bitcoin is a network, not a coin.” Image created and owned by Jason Benjamin at http://perfecthue.com/. Question: What about the magistrate ruling in the Trendon Shavers / Bitcoin Savings and Trust case? Doesn’t that mean that Bitcoins are securities? The SEC is suing Shavers for selling fraudulent and unregistered securities. See the SEC’s complaint here. The magistrate’s ruling was jurisdictional in nature; in short, that is what a magistrate does. The defendant claimed that the SEC had no jurisdiction to charge or prosecute him because he wasn’t selling securities subject to the SEC’s oversight. Not so, said the judge. I wouldn’t treat this as anything other than an acknowledgement by the court that Bitcoins exist. The defendant was selling interest bearing securities in exchange for Bitcoins, not Bitcoins themselves.